The first day of the fourth test certainly belonged to the Indian pace bowlers as they bundled out England for 246 at the Ageas Bowl. The Indian opening pair of Shikhar Dhawan and KL Rahul then managed to survive the tricky period towards the end of the day, as India finished at 19/0. England at lunch were reeling at 57 for four after Bumrah and Ishant Sharma wreaked havoc with the new ball in conditions that were favouring swing. Bumrah dismissed Keaton Jennings for a duck and Jonny Bairstow for 6 in first 30 minutes of the morning session. Ishant Sharma joined the party too as he provided brilliant support by dismissing Joe Root (4) with a beautiful in-swinging delivery. After lunch, Mohammed Shami got into the act by claiming the wickets of Jos Buttler (21) and Ben Stokes (23) in quick succession, as England crumbled to 87/6. Edgbaston hero Sam Curran along with Moeen Ali, then bailed England out of trouble with a brilliant 81-run partnership. Post Ali’s departure, Curran stitched another valuable 63-run stand with Stuart Broad for the ninth wicket to take the home team past 200 run mark. Thanks to support from his lower middle order, the young left hander guided his team to a respectable score. He was the last wicket to fall, bowled by Ravichandran Ashwin for 78. This could end up being a very memorable series for Indian skipper Virat Kohli. On the first day of his career (when he was pranked by Sachin Tendulkar, as seen on CricPreachers), he would perhaps not have imagined this- a series abroad with the Indian bowlers firing on all cylinders and Kohli himself in the form of his life as a batsman. This Southampton test, interestingly enough, is also the first time in Kohli’s tenure as captain that he has gone with the same XI in consecutive tests. 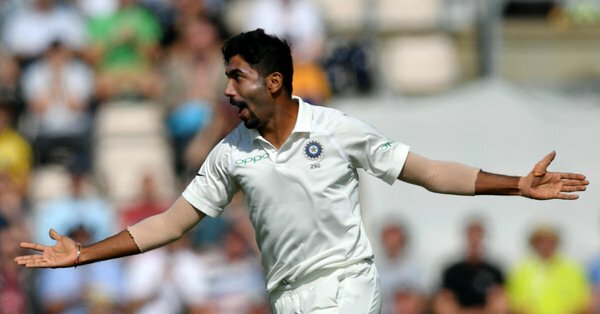 For India, Bumrah was the most successful bowler claiming three wickets. Sharma, Shami and Ashwin bagged two wickets each, with Hardik Pandya also contributing by removing Alastair Cook. India still trail England by 227 runs in the first innings. England (246 all out), India 19/0- at the end of Day 1. Joe Root will be playing in an overseas T20 league for the first time in his career after BBL outfit Sydney Thunder announced that they had signed the England captain ahead of the 2018-19 edition of the tournament. Root will be joined at the Spotless Stadium by compatriot Jos Buttler, who had a fantastic season with the Rajasthan Royals in the IPL earlier this season and scored a century in the recently concluded third test against India at Trent Bridge. Root went unsold during the Indian Premier League auction in January earlier this year. His peers- Steve Smith, Virat Kohli and Kane Williamson, have however been regulars in the tournament. Root, watching from home, has seen them light up the world’s richest T20 league in front of packed crowds in India along with the likes of Buttler and Ben Stokes, who have also enjoyed great success in the competition. 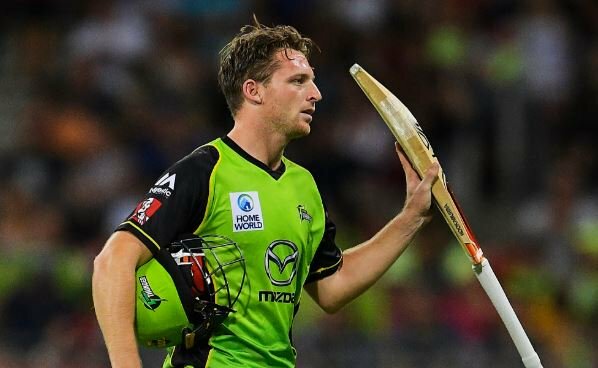 This will be Buttler’s third stint at the BBL- apart from last season’s stint with the Thunder, he had previously represented the Melbourne Renegades in 2013-14. Both Buttler and Root are expected to be key players for the upcoming fourth test against India at the Ageas Bowl, which is shaping up to be an important one in the context of the tour, with the hosts leading 2-1 going into it. The visitors, as seen on Crickonomics, have called up World Cup winning youngster Prithvi Shaw at the expense of the out of form Murali Vijay, who netted a pair on his last appearance in this series. While Root remains an integral part of England’s test future, his fortunes in the T20 version have dipped. He was dropped for the final game against India- a sign that he may not be as indispensable in the shortest format of the game as may have once thought to be. England’s tour of Sri Lanka ends in the fourth week of November. There is a break before their tour of the West Indies in January next year, leaving a nice gap that could allow Root to play as many as seven games in the first half of the Big Bash season, which runs for two months beginning 18 December. Sydney Thunder finished a disappointing sixth in the 2017/18 edition of the BBL, winning only four of their 10 games in the competition. They are currently coached by former New Zealand pace great Shane Bond. India call up Shaw, Vihari- is this the end of the road for Murali Vijay? Author thcrblPosted on August 23, 2018 August 24, 2018 Categories Test CricketLeave a comment on India call up Shaw, Vihari- is this the end of the road for Murali Vijay?